1 in 6 couples have difficulty conceiving and in up to 40% of cases, there is a male fertility issue. There is a growing body of research(ref 1) which suggests that acupuncture has a valuable role in increasing the chances of a positive outcome for natural conception and healthy pregnancy. We work with one or both partners, looking at lifestyle factors, diet (and nutritional supplementation programs), interpreting Basal Body Temperature (BBT) charts and sperm analysis according to Chinese medicine. We work with natural family planning, helping a woman to recognise signs in her cycle which indicate when she may be more fertile. However, there is a lot you can do physically and mentally to minimise side effects and enhance treatment, and help your body to recover afterwards. Many studies (ref 2) show that acupuncture at certain key points during your assisted cycle may help enhance the chances of conception. The number of treatments can vary with each individual and their response to the assisted reproductive techniques. Fertility has traditionally been considered a female concern, but male related factors can now account for around 35-40% of cases of non-conception. Sperm counts, in particular, have been declining at a very rapid rate over recent years. However, there is a lot that can be done to improve sperm. New sperm are constantly being produced and by making a few, often simple changes in a number of areas, together with acupuncture treatment, male partners can make a significant difference to both the quality and quantity of sperm. It is important to prepare as much as possible before conceiving to ensure an optimal start to pregnancy. Alongside acupuncture treatment, we look at aspects of diet and lifestyle which need to be considered by both partners when planning a pregnancy and to try to prevent miscarriage. Acupuncture can be continued during pregnancy and we tend to recommend it for the first trimester (ref 3). We also offer preparation for birth treatments, induction and breech treatments; a childbirth service and post-natal home visits. Acupuncture works to help maintain your body’s equilibrium. It involves the insertion of very fine needles into specific points on the body to regulate the flow of ‘qi’, your body’s vital energy. For a number of lifestyle and environmental reasons, qi can become disturbed, depleted or blocked, which can result in some symptoms of some pain and illness or dis-ease. In certain instances, traditional acupuncture can be an effective therapy to help restore balance and promote physical and emotional harmony. Treatment is aimed at the root cause of your condition as well as your main symptoms. This approach helps with resolving your problem and enhancing your feeling of wellbeing. You may notice other niggling problems resolve as your main health complaint improves. Acupuncture originated in China and other far eastern cultures where it still features in mainstream healthcare, both as a stand-alone therapy and in combination with conventional western medicine. Acupuncture is now widely used and accepted all over the world. 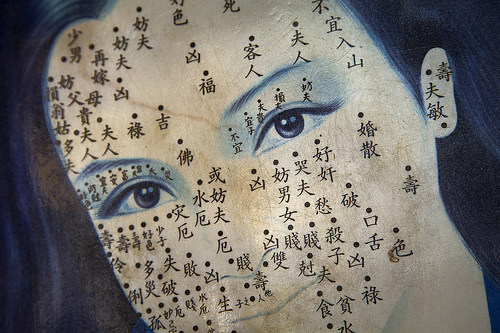 In traditional acupuncture, each person is considered unique. The number of treatments required depends on the individual. However, on average, treatments are required once or twice a week for 4 – 6 treatments. The treatments are then spaced out according to individual requirements. Sometimes the effects of the treatment are dramatic and only one or two treatments are required. With other patients, the effects are more subtle and they may need treatment over several months. It takes approximately 3 months for eggs and sperm to come to maturation, so when considering natural fertility techniques, it is sometimes recommended to consider having treatment initially for 3 – 6 months. Ref 1: While there is a growing body of scientific research into the uses of acupuncture, this research isn’t often in the Western medical standards of large scale, double-blind, randomised controlled trials on the human population. As a result, the efficacy of acupuncture is still considered to be largely unproven by some people. Throughout the website, references to research should be considered within this context. We endeavour to provide sources and references for your information and further perusal. Ref 3: Domar A et al Fertil Steril 2009, Smith C and De Lacey S, in press, FSA conference 2008.